Let’s address the elephant in the room right off the bat – GoDaddy doesn’t have the best reputation among users. However, they’ve strived to correct this by launching hosting plans and tools that target advanced users, such as GoDaddy Pro. With GoDaddy Pro, the service wants to provide you with an experience similar to managed WordPress hosting, with a particular focus on running multiple sites. In this article, we’ll take a look at GoDaddy Pro and let you know how good it is. GoDaddy is one of the biggest and most well-known names in hosting and domain registration. It’s been around since 1997 and at current count manages around 18 million customers, which is a staggering figure for this type of service. Despite this, GoDaddy has plenty of other positives to enable them to hold onto its lead as both a registrar and web host. They also have a history of aggressive marketing, which is one of the reasons they’re so well known. Plus, during the past few years, they’ve been making an effort to offer better services and tools to WordPress users – one of which is GoDaddy Pro. When it comes to web hosting, a lot of providers go out of their way to cater to WordPress users. That’s easy to understand since WordPress powers basically a third of the web. GoDaddy is no exception, and has launched itself in headfirst into the WordPress ecosystem. ManageWP: This platform enables you to manage multiple WordPress websites from a single place. WP Curve: A service that provided access to WordPress specialists for small maintenance and development jobs. Sucuri: An all-in-one security service and WordPress plugin. It’s worth noting that these acquisitions took place from 2016 onwards. The GoDaddy Pro service itself arrived in 2015. Since then, features of these three services have made their way into GoDaddy Pro, mostly from ManageWP. In fact, GoDaddy Pro Sites fully relies on the ManageWP platform, which we’ll explain in the next section. What we call GoDaddy Pro is actually a collection of three different services – Pro Sites obviously, Pro Clients (which lets you directly manage client WordPress websites and sign up customers for GoDaddy’s plans and services), and Pro Rewards (an affiliate program for GoDaddy plans and services). The Pro Sites service uses the ManageWP platform and it provides you with all the features the latter usually offers. This means you can update multiple sites, get access to reports, install and uninstall plugins and themes, log into your dashboards with a click, and more. 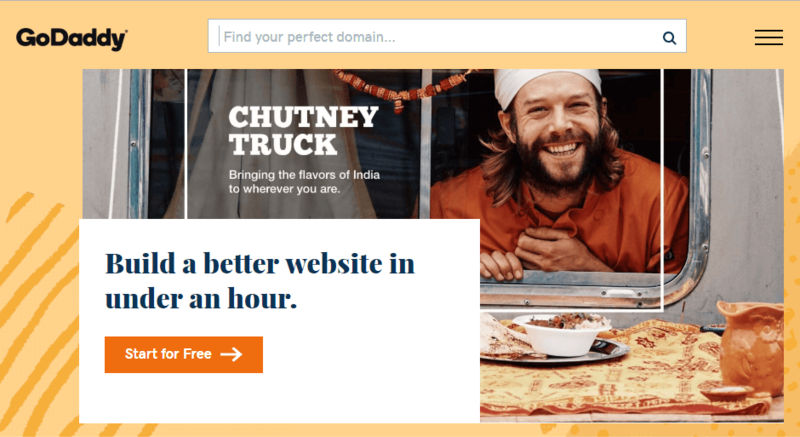 The base Pro Sites service is free and it supports non-GoDaddy sites too through a plugin called ManageWP Worker to connect sites to its platform. Pro Clients also enables you to recommend specific products and services to clients from within the platform. For example, you can suggest a new hosting plan for an account, pay for it yourself, submit the bill to your client, or buy it on their behalf if they’ve authorized you. Of course, this only works with GoDaddy products, which is where GoDaddy Rewards comes in. This is essentially an affiliate program that gives you discounts on GoDaddy products and earns you points towards future purchases. The discount themselves are nice (30% off everything) and the goal is, of course, to lock you into the GoDaddy ecosystem. Now, you have a full picture of everything GoDaddy Pro offers, let’s talk about whether it’s a good option for you or not. Should You Consider Using GoDaddy Pro? Part of the GoDaddy Pro services come with strings attached. Pro Sites itself is free and it relies on ManageWP, so it’s a great option regardless of whether you’re a GoDaddy client or not – as long as you have multiple sites to run. A significant number of your clients are already ‘locked’ into the GoDaddy ecosystem. You don’t mind recommending GoDaddy products to your customers. GoDaddy actually offers pretty decent performance across the board on its WordPress plans. However, customer support still has a long way to go. What’s more, a lot of their plans are more expensive than other ‘basic WordPress hosting’ competitors, with less features. Overall, GoDaddy remains mostly geared towards users who want to set up small websites without needing advanced hosting features. If you need more firepower or functionality, plenty of other hosts can beat GoDaddy’s offerings at similar or lower prices. GoDaddy Pro itself is a show of the web host’s commitment to offering more and better tools for WordPress users. Even if it’s not your cup of tea, we’re curious to see where GoDaddy goes next! With GoDaddy Pro, you can manage multiple GoDaddy websites using a single dashboard. This makes it excellent for developers, designers, and almost anyone needing to stay on top of multiple websites. GoDaddy has come a long way. Its Pro Clients and Pro Rewards services make it a decent option if you’re looking to host multiple simple websites. Even so, there may be other hosts that can offer more bang for your buck than GoDaddy. As such, you may want to weight up whether the specific positives are right for you before opening your wallet. Do you have any questions about GoDaddy Pro? Let’s talk about them in the comments section below! The post GoDaddy Pro Sites: An Overview and Review appeared first on Elegant Themes Blog.